The Thousand Oaks Philharmonic, formerly known as Concertos with Orchestra Thousand Oaks (CWOTO), was founded in December of 2000 as a California registered non-profit educational organization, with its foremost purpose being to provide exceptional piano students in the area with an opportunity to be featured as soloists with a professional orchestra. Because of the resounding success of the first concert, the community interest, and a desire to give as many students as possible this remarkable opportunity, other instrumentalists, as well as vocalists, were invited to audition for the solo performances in subsequent concerts. The Ventura County area is rich in talent, with an unusually high concentration of young artist-level musicians living in our midst. Perhaps it is no coincidence that our schools graduate some of the highest-ranking and well-prepared students in the country, and their level of achievement in other fields naturally mirrors those results. There is no secret to the success of a performing artist. Of course, raw talent and natural ability play an important role. However, nothing substitutes for the discipline of practice, professional study, and parental support. If chance allows the combination all these essential elements, in the right doses, the product can be quite stunning. In addition to providing students with this wonderful opportunity, the community also benefits by attending thrilling performances which can be quite memorable and especially influential to the younger members of the audience. In music study, there can be fewer wonderful experiences than being the featured soloist with an orchestra. While there are some possible current opportunities to do this, and the ones that exist are important and quite exciting, the number of opportunities is limited. It is the expressed hope of the Thousand Oaks Philharmonic to enhance these opportunities for students in Ventura County and areas immediately adjacent. John Roscigno is Music Director and Conductor of the Thousand Oaks Philharmonic. 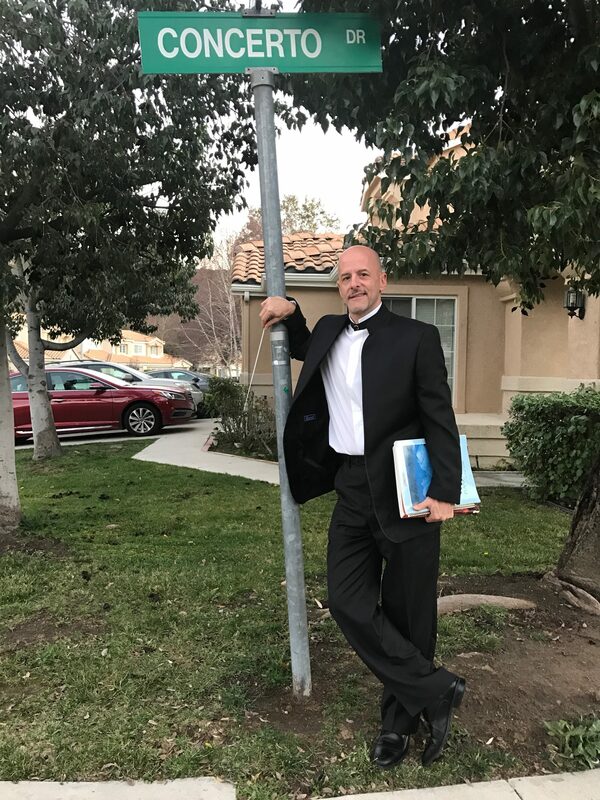 Additionally, he holds the positions of Professor of Music and Director of Orchestral Studies at California State University, Northridge and Music Director of the CSUN Youth Orchestra Program. His current and past work includes extensive work in opera and musical theater. His versatility as a classical pianists, percussion, conductor and composer has lead to a number of important and unique collaborations throughout his musical career. A strong proponent of music education for young people, John spends a great amount of time each year training and mentoring young musicians. He is a frequent guest clinician and adjudicator at local and national music festivals and camps and continues an active career as a private teacher as well. John’s diverse collaborations of the past include work classical, world and popular musicians such as George Crumb, Evelyn Glennie and Serj Tankian. Also, as a champion of new music, he has conducted and performed hundreds of new works by some of the world’s finest young composers and this fall will conduct the west coast premiere of Philip Glass’s “Symphony No. 7 – Toltec”. As a instrumentalist and composer, his experience has been unique. He has performed as a percussionist and pianist with The Arkansas Symphony, The Tucson Symphony, Sinfonia da Camera, Miami Chamber Symphony and Summit Brass. 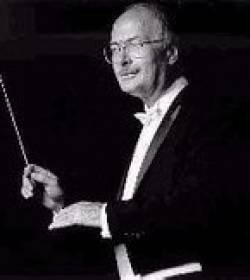 He has had the honor of performing or conducting in some of his favorite venues in the world including Carnegie Hall, Yankee Stadium, Disney Hall, the Rose Bown and Olympic Stadium in Montreal. As a composer, he has had four song cycles for soprano and chamber ensemble premiered throughout the country and continues to compose as time permits. John holds degrees in orchestral conducting, piano performance and percussion performance from the University of Arizona and University of Illinois with additional studies at the University of Miami and Aspen Music Festival. Like many students in the Thousand Oaks Philharmonic program he started his musical training young with piano lessons starting at age 7 and percussion at age 15. John was born in the Bronx, New York and raised just outside New York City. He is an avid sports fan with an extensive knowledge of baseball history and is a road cyclist. He has two children, Andrew and Isabella. The purpose of the Organization is to provide opportunities for young artists in Ventura County and its surrounding areas to perform with a professional symphony orchestra in front of a live audience and to provide educational and culturally enriching experiences for the communities it serves. Born and first educated musically in Ohio, he moved to California in 1965, where his major teachers were Mildred McGowen-Ryan, and Peter Yazbeck. He entered CSU Northridge, as a scholarship student in the music department, where he earned Bachelor’s and Master’s degrees in Piano Performance. During his years at the university, he won many awards in solo and chamber music performance. He was the music department’s candidate for the university President’s Award, as top graduate student. His principal teacher was French Pianist Francoise Regnat. He was an invited participant in the master classes of Polish Pianist Jakob Gimpel for six years. Post-graduate study continued with Edward Auer. His study and research in pedagogy and music history were with William Richards, Rosalie Ligget, George Skapski, and Eleanor Russell. In August 2006, after being on a two week vacation to the North Pole with his wife Joyce, Tom Osborn returned to Los Angeles International Airport, and collapsed when disembarking from the plane. He had a massive heart attack and died. We were all saddened by his untimely passing, which was only a week before the Project: Brahms that the Thousand Oaks Philharmonic was to perform that very weekend. Since Tom was looking forward to conducting the concert and everything was scheduled and in place, his wife Joyce, felt that the concert should go on. It did, with Tom’s spirit present, the soloists and orchestra gave outstanding performances.